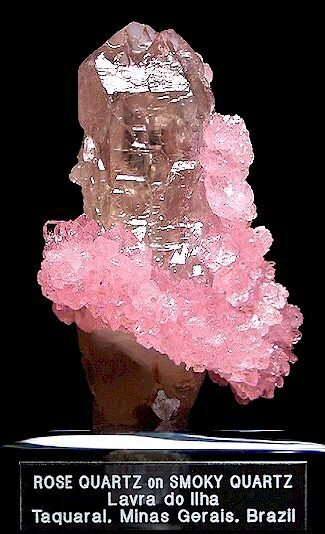 Comments: Slightly smokey quartz overgrown with rose quartz. Note the exceptional transparency of the rose quartz. Location: Lavra da Ilha, Taquaral, Minas Gerais, Brazil. Scale: 10 cm by 5.2 cm.